What I mean by that is I read food product labels; I don’t eat as much processed food; I cook from scratch even more than I used to; I log my food with an online app; and I eat ‘normal’ portion sizes. You all know how much I like to cook, how much I like to try new flavors, and how much I enjoy experimenting with new recipes. This list is a sampling of my favorite snacks that are 100 calories or fewer. Miniature Tostada On a small corn tortilla, spread 1/4 cup nonfat refried beans. Top it with shredded lettuce, diced tomato, and a sprinkle of shredded low fat cheese. 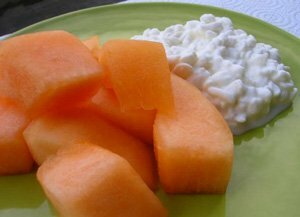 Cottage Cheese With Melon For a twist on cottage cheese with fruit, combine 3/4 cup diced cantaloupe with 1/4 cup nonfat cottage cheese. If you’re craving sweetness, drizzle a little raw honey over it. Carrots With Hummus This is the old veggie dip idea but with protein instead of fat. Crunch on nine or ten 2-inch carrot sticks dipped in hummus. Bonus points if you make your own hummus. Hey, it’s easy to make and tastes better than store-bought. Santa Fe Black Beans Combine 1/4 cup drained and rinsed black beans, 1/4 teaspoon salt, and 1 tablespoon nonfat Greek yogurt. It’s a hearty snack with protein that won’t quit. Oh-So-Sweet-Potato This is not a sugary sweet potato; it’s sweet because of the lack of sugar. 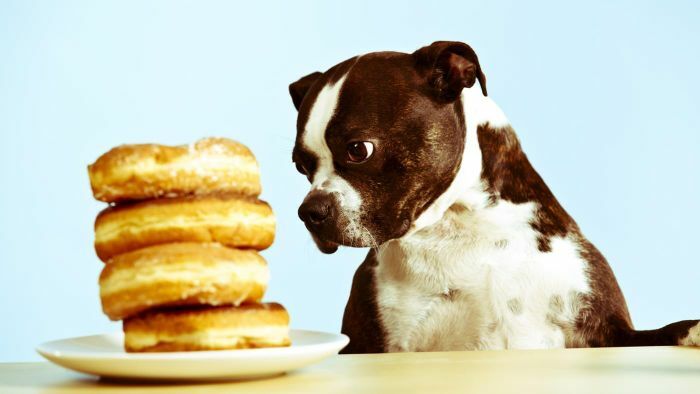 You’d be surprised how quickly you can get used to not eating sugar on food. Just bake a small sweet potato and sprinkle salt or cinnamon on it. If you want to, microwave it in a potato bag. If you’re handy with a sewing machine, here’s an easy pattern for making your own bag. The potatoes come out great this way and it’s so quick. Turkey Tartine It’s a fancy name for a foodie snack that’s a simple open faced sandwich. Spread 1 teaspoon mustard on a slice of toasted whole grain bread and lay on 2 thin slices of deli turkey. Black Bean Salad This one’s not only lean, it has protein and fiber. Mix 1/4 cup drained and rinsed black beans, 1 small chopped tomato, 1/4 cup chopped green bell pepper, and a pinch of chili powder. Spiced Cottage Cheese Mix 3/4 cup nonfat cottage cheese with a pinch of chili powder and a pinch of curry powder. A garnish of chopped scallions is nice. Strawberry and Spinach Salad Mixing savory and sweet reminds me of those cooking shows on the food networks. 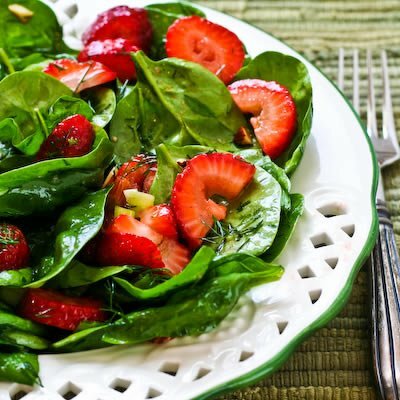 So be a pro and mix 1 cup baby spinach with 1/2 cup sliced strawberries. Drizzle on 1 tablespoon balsamic vinegar. My tastes run to the spicy and savory so this baker’s dozen snack sampling reflects that. 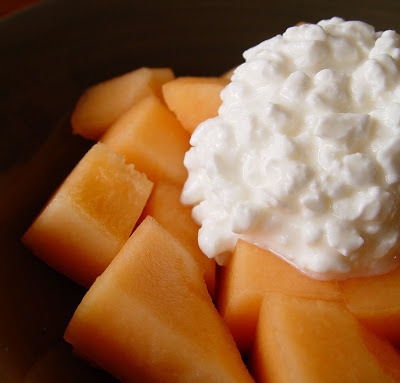 You probably have some favorite healthy low-cal snacks as well. Share them in the comments. I’ll give you bonus points for that too! In the meantime, you know what I always say: get creative in the kitchen. Life’s too short to eat boring food.